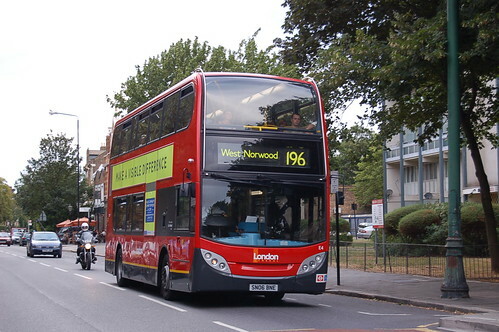 Extended daily from Waterloo to Norwood Junction replacing withdrawn 68A. 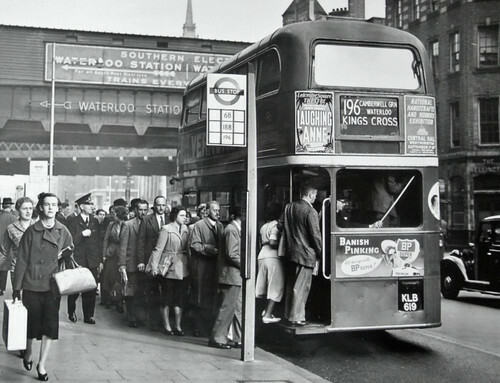 Sunday service introduced Waterloo to Norwood Junction. 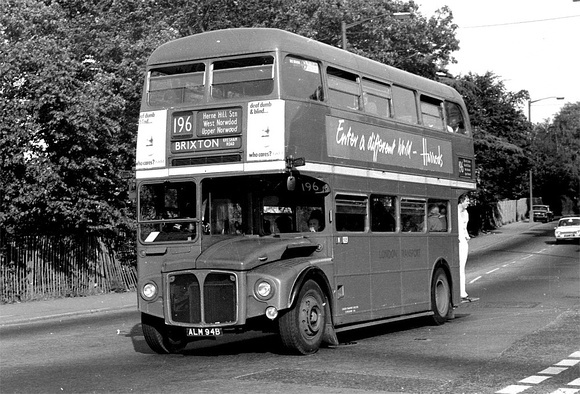 RTL432 on Route 196 from Chalk Farm (CF) Garage in 1952. 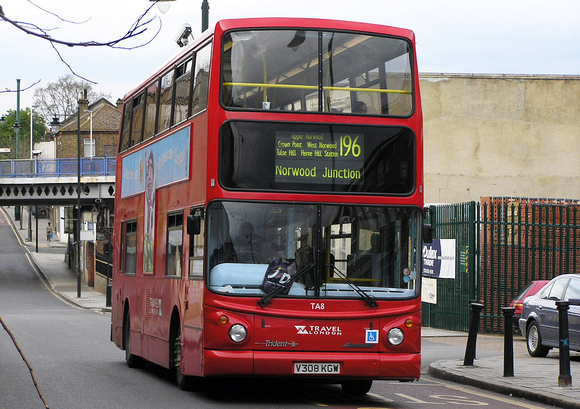 Sunday service withdrawn - partly replaced by extending service 40 from Camberwell Green to Norwood Junction on that day. Monday-Friday CF allocation transferred to HT. 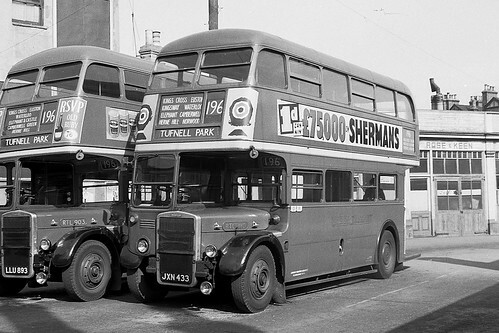 Is this Tufnell Park ? Saturday only CF allocation withdrawn. 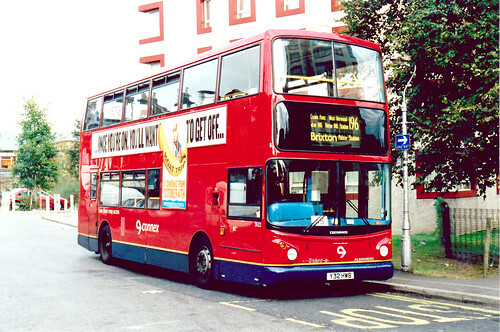 HT allocation converted from RTL to RT. 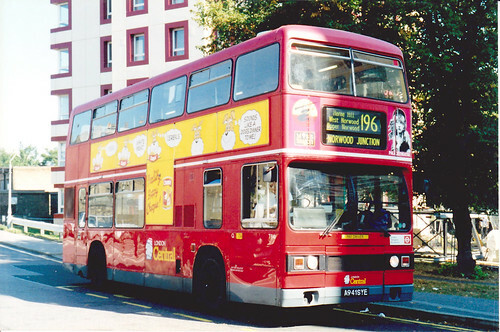 Withdrawn between Euston and Tufnell Park - this section replaced by new 239 Tufnell Park and Waterloo. 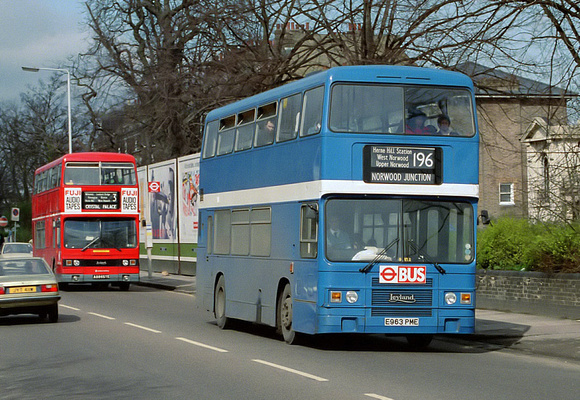 Diverted at Herne Hill to Brixton via Route 3. 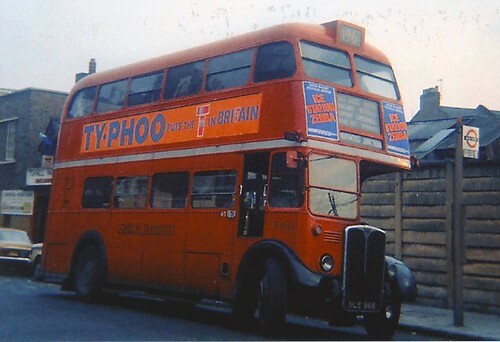 Withdrawn section covered by strengthened 68. 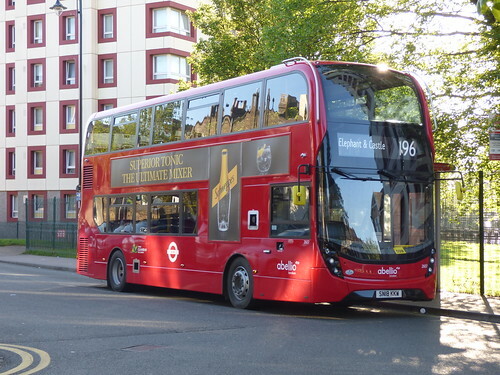 N allocation transferred to SW.
Monday-Friday peaks extended from Brixton to Kennington and further extended early morning journeys to Islington Green replacing part of withdrawn 172. 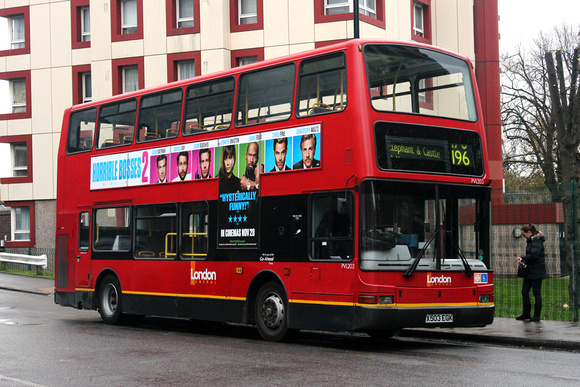 Withdrawn between Brixton to Islington. 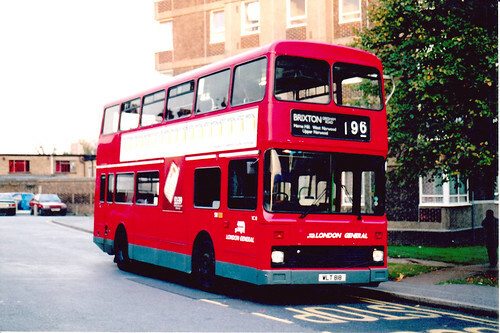 The early morning journeys replaced by new 3B which was derived from the 196 allocation. 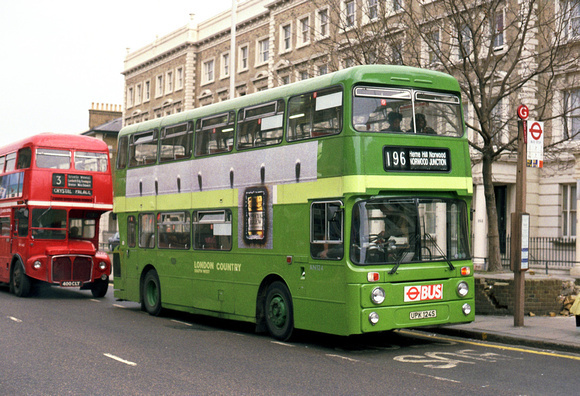 Contract reassigned to London Central (Q and VC replaced by Leyland Titan. 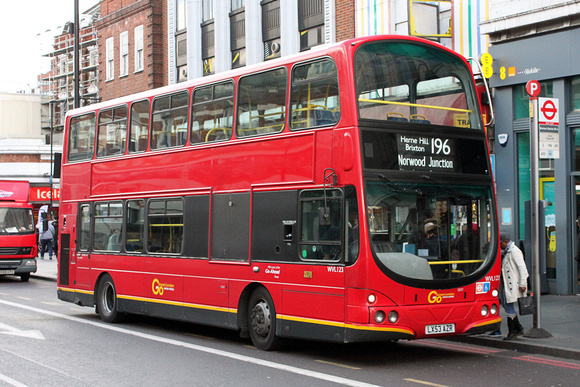 Contract transferred with the Go-Ahead group to London General (SW) and Volvos replace Titans. 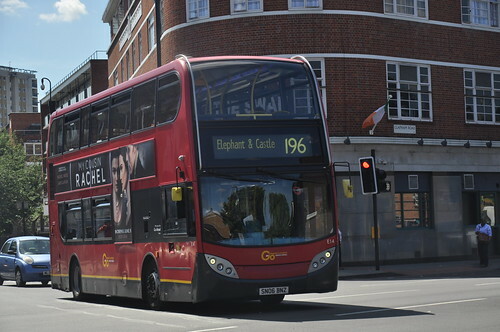 Daily extended via withdrawn section of Route 322 from Brixton to Elephant & Castle. 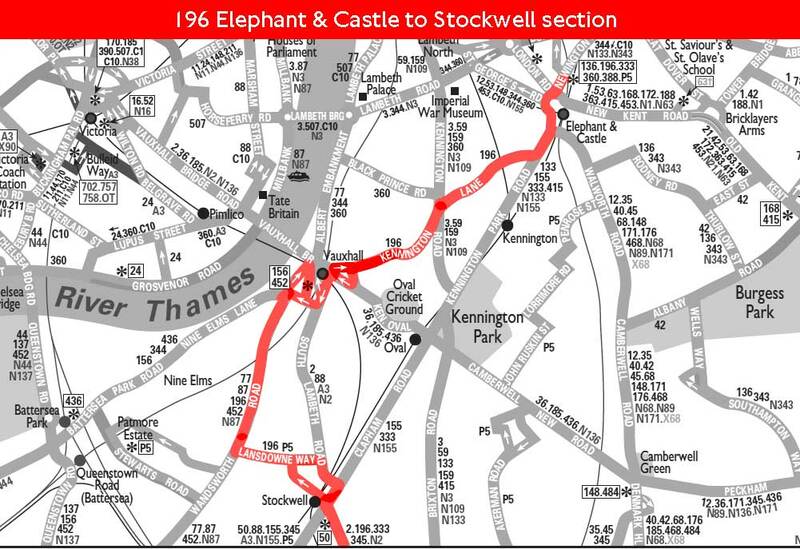 Changeover point Elephant & Castle ?